Charlaine Harris was raised in the Mississippi River Delta area. Though her early works consisted largely of poems about ghosts and, later, teenage angst, she wrote plays when she attended Rhodes College in Memphis, Tennessee. She began to write books a few years later. HBO’s True Blood series is based on her SOOKIE STACKHOUSE books. Harris is a member of the Mystery Writers of America, the American Crime Writers League, and the board of Sisters in Crime. She alternates with Joan Hess as president of the Arkansas Mystery Writers Alliance. Charlaine Harris is married and the mother of three. She lives in a small town in Southern Arkansas and when she is not writing her own books, she reads omnivorously. 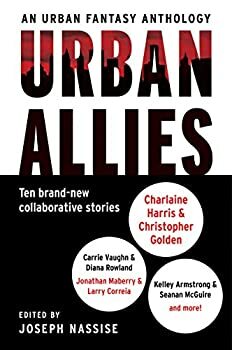 Learn more Charlaine Harris’s website. 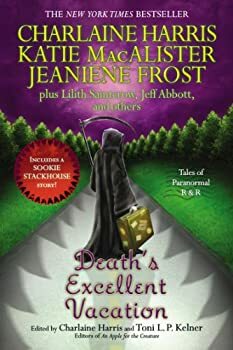 Sookie Stackhouse (Southern Vampire / True Blood) — (2001-2013) A Touch of Dead is a collection of short stories. Publisher: Sookie Stackhouse is just a small-time cocktail waitress in small-town Louisiana. 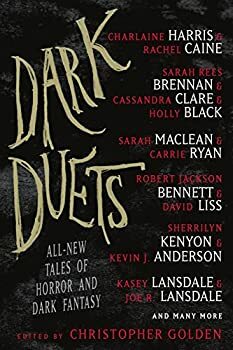 Until the vampire of her dreams walks into her life — and one of her coworkers checks out… Maybe having a vampire for a boyfriend isn’t such a bright idea. 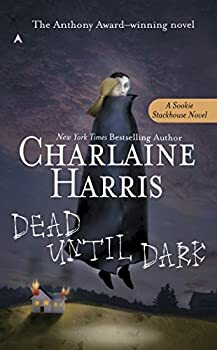 Dead Until Dark: Sookie Stackhouse is a delight! Charles de Lint said once that the current urban-fantasy novels are highly focused on character, and that readers like or dislike a series based on whether they connect with the protagonist. (I wish I could find that quote!) Based on this, I'm not surprised that Charlaine Harris has, as I write this review, the top three best-selling fantasy titles on Amazon. Disclaimer: I've only read this first book so far, and haven’t seen the TV series. But from what I've seen, Sookie Stackhouse is a delight. Against a blue and black background, a spidery streak of lightning illuminates the sign, Dunhill Cemetery. In the second frame, a car appears, twin spots of red, the brake lights, gleaming like eyes as a shadowy figure unloads another figure from the trunk and hurls it down a defile. 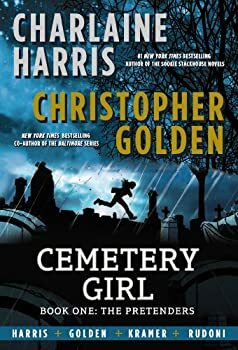 That’s how Cemetery Girl: The Pretenders, by Charlaine Harris and Christopher Golden opens. The body is that of our main character, a teenaged girl with no memory of her past, only sketchy recollections of an attack. She knows that someone tried to kill her, and that her life now depends on letting them think they succeeded. Harper Connelly — (2005-2009) Publisher: Harper Connelly has what you might call a strange job: she finds dead people. She can sense the final location of a person who’s passed, and share their very last moment. The way Harper sees it, she’s providing a service to the dead while bringing some closure to the living — but she’s used to most people treating her like a blood-sucking leech. Traveling with her step-brother Tolliver as manager and sometime-bodyguard, she’s become an expert at getting in, getting paid, and getting out fast. Because for the living it’s always urgent — even if the dead can wait forever. 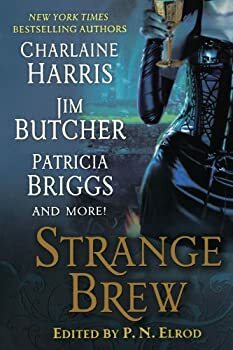 CLICK HERE FOR A FEW MORE BOOKS BY CHARLAINE HARRIS.